Happy Wednesday!!! 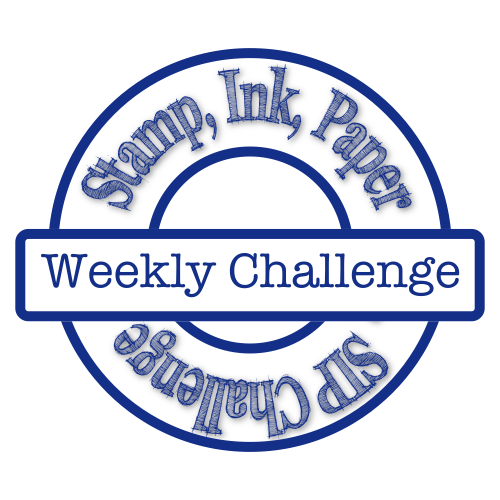 Welcome to our last One Stamp At A Time Blog Hoppers hop of the year! Did you just come from Dena's?? That chick is amazing!!! This month we are saying "Thank You" for our gifts! Speaking of gifts, are you done Christmas shopping? I am nearly done with the exception of a few stocking stuffers and maybe something for Mr Tucker! It has been rather somber her lately. Just before Thanksgiving we lost one of our furry friends! Our Emmy dog was around for all 3 kids as babies... I think my youngest misses her most! She was the best dog ever! Well... Look what I have!! You guessed it! 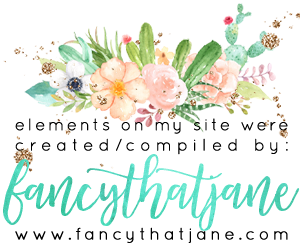 I am giving you a sneak peak into the new 2016 Occasions Catalog from Stampin' Up! I am not going to lie, I may need a lawyer soon! The stuff in the catalog in is AH-MAZING!!! Here is the details! 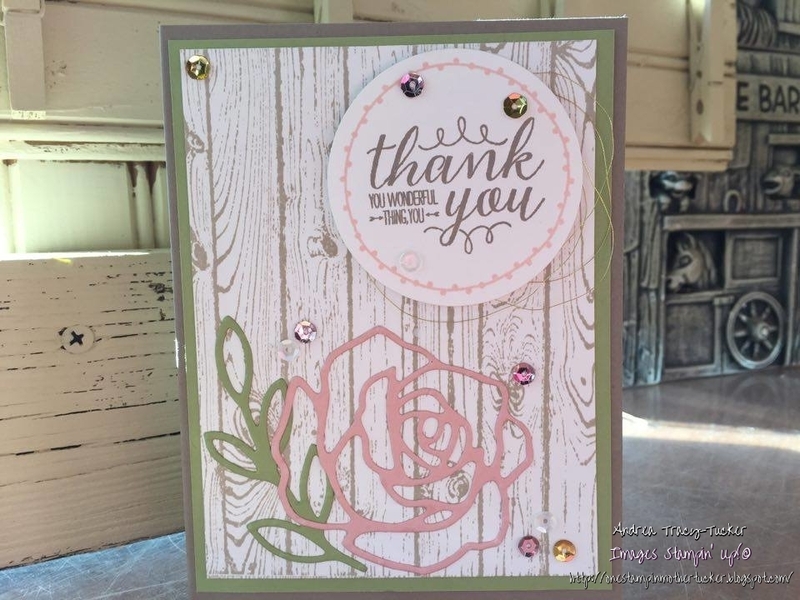 The card starts with a base of Tip Top Taupe with a lovely matte of Pear Pizzazz. The Whisper White Card Stock is stamped with Hardwood using Sahara Sand ink. The leaves are cut using the new Precision Plate with my Big Shot. The set is called Rose Garden Thinlits. They were cut out of Pear Pizzazz card stock and adhered using the 2 Way glue pen. The Rose is from the same die set. I cute this out of our Blushing Bride card stock and adhered this with the 2 way glue pen as well. The circle and sentiment are also from the new Occasions Catalog it is called You're So Lovely. 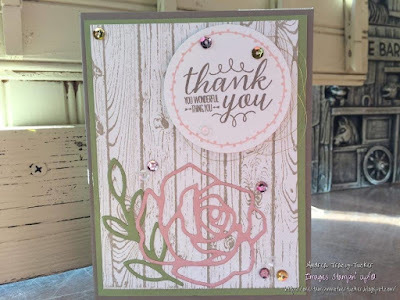 I used Blushing Bride ink on the circle and Tip Top Taupe on the sentiment. There is a really great embellishment kit in the new catalog as well. It is called the Love Blossoms Embellishment Kit. The sequins on this card are from the kit as well as the Satin Ribbon around my bakers box. I adhered the sequins using the Fine Tip Glue Pen. I finished this card with gold metallic thread loops behind my sentiment and adhered this to the card using Stampin' Dimensionals. Now with the Bakers Box.... Like I said above the satin ribbon is from the great embellishment kit. I wrapped this around our Corrugated Kraft Paper and tied a simple bow. I adhered the "Thanks" Wood element using the Fine Tip Glue Pen. To add some "Foof" I added some the Blushing Bride Sequins, Tip Top Taupe Lace and Satin Ribbon with a clothes pin to the top! BOOM!!!! Done!!! I can't wait to make more goodies using our NEW stuff it is a super great catalog! Next is the amazing Tina Riddle! Not only is she amazing but she is also my stamping Mom!! Make sure you tell her how special she is to me! 12. 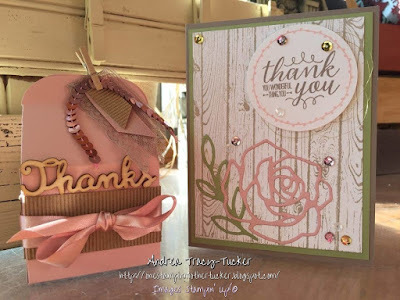 Andrea Tucker - http://onestampinmothertucker.blogspot.com/2015/12/osat-blog-hoppers-end-of-year-thank-you.html You are Here! 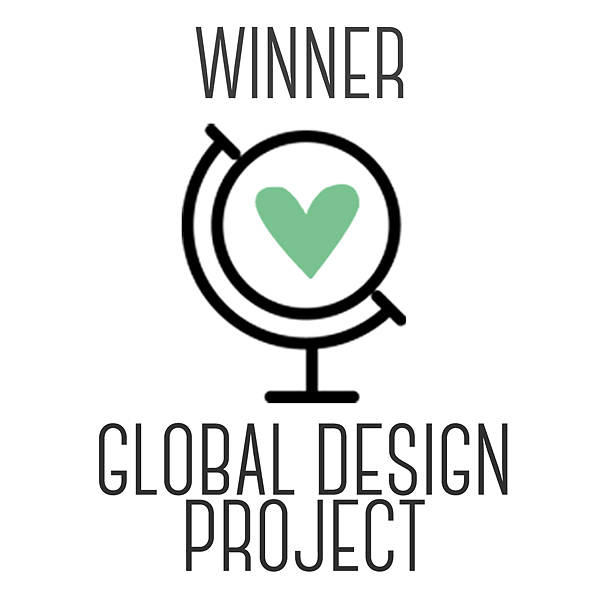 Love your projects--and the colors!! I can't wait to dig into the new stuff! Thanks for sharing! Gorgeous, love your colors, your patterns..it's all so pretty together! So beautiful! I'm regretting not preordering the rose set! You always have a wonderful eye for classy and vintage! beautiful work!